Over a third of people who are learning English, started this year. 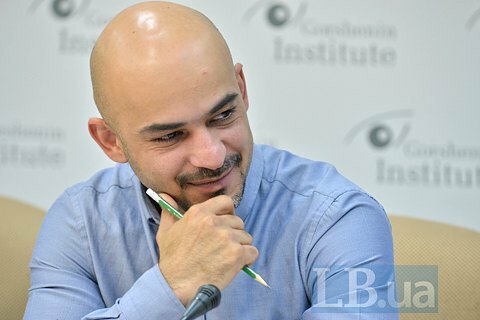 The year 2016 saw a breakthrough in the study of the English language in Ukraine, the co-founder of GO Global Office, MP Mustafa Nayyem told a Gorshenin Institute roundtable conference, dedicated to the results of the Year of the English Language in Ukraine on 12 December. He referred to poll by TNS conducted in Ukrainian cities with the population over 50 thousand residents, which found that two of three Ukrainians are studying a foreign language. "60 percent of Ukrainians learn foreign languages, among them 91% learn English. This is a fairly impressive figure," said Nayyem. He agreed that the level of knowledge of these people cannot be assessed, but hailed the attempt. "34% of Ukrainians who are learning English, have started this year. It is the biggest breakthrough in the history of Ukraine," said the deputy. Nayyem reminded that 9,000 children went through the language camps GoCamp this year. "Nine thousand children have communicated with 150 volunteers from 37 countries. They have passed through our camps and volunteered for another year," Nayyem said. He said GlobalOffice plans to raise financial support from the Ukrainian business to make the camps available to 100 thousand children next year. "We want all Ukrainian children aged 10 to 15 to pass through such camps in five years. That's half a million people - but I think we will manage this," Nayyem concluded.